Back to the barns . . . I'm done playing with the red bundle, for now, and am back to working on 3 Barns, by Carrie Nelson for Miss Rosie's Quilt Co. Here are the naked blocks. Here they are all dressed up. Only 3 naked blocks left to dress. It's dreary and wet here, a horrible day for taking pictures, but you get the general idea. The hsts that surround the blocks are pieced and trimmed so adding them to the blocks goes quickly. Everything continues to match up perfectly, I'm enjoying the easy piecing. 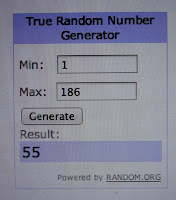 If you're into batiks, Laura is having a giveaway, check out the details here. I think the deadline is tomorrow. Friday is March 1, the day I get to show you my blocks for the Bloggers Girl BOM, my favorite blocks so far, stop back by! Last of The red bundle . . . So once I finished Tickled Red, I still had the majority of my red bundle left to play with, so I made 18 more of my 3 inch mini churn dash blocks. I now have a total of 40. Cathy, at Quilting on Main St, recently blogged about a pineapple quilt she just got back from the quilter. She went with a great combination of French General fabric so naturally I loved it. 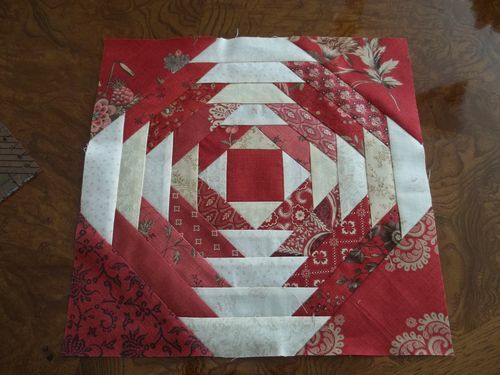 Then Nicole, at Sisters Choice, caught the pineapple quilt bug, dug out all her French General reds, pinks, and background fabric and made this inspiration block. It finishes at 12 inches. Nicole plans to use the same ruler Cathy used to make her blocks, the Possibilities Pineapple ruler. Well I've been wanting to make a pineapple quilt for forever, and since I'm currently working with French General fabric I thought I would use what's left of my red bundle and go with a scrappy red and cream pineapple quilt instead. Here's my inspiration block. I'm going to paper piece my blocks, and go a little smaller, this block is 6 1/2 inches. I'm planning to make 100 of them and for this to be another little side project this year. Tickled Red . . . .
Tickled Red is all done, and I used every piece of fabric in the Thelma Bundle to make it. For the red prints in the stars I used all the reds except two, I did not use the mottled red fabric or the pinkish red fabric. I used 3 of the 4 background pieces for the stars. 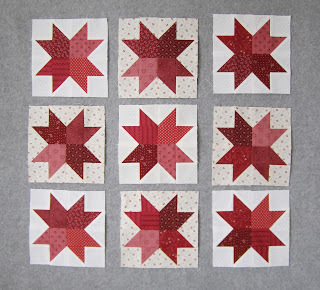 The tone on tone dot fabric is in the center star, the tone on tone twig fabric is in the 4 corner stars, and the small red flower print fabric is in the remaining 4 star blocks. For the sashing I used the mottled red fabric and for the cornerstones the pinkish red fabric. So at this point I had not used one background fabric and had no yardage for the outer border. For the final piece of background fabric I added a small peeper (flange) between the outer border and the sashing. 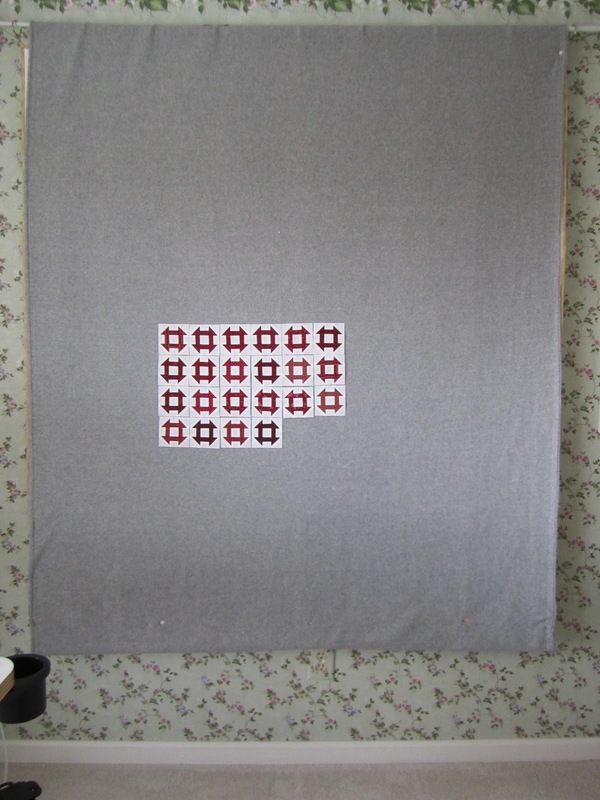 No yardage for the outer border, that's easy, just go with a pieced border. For the outer 3 inch border I went with the same reds used in the stars cut 1 1/2 inches wide. The corner squares are the same fabric as the sashing, the mottled red. It finished at around 27" x 27"
Here's all the fabric I have left over after finishing Tickled Red. 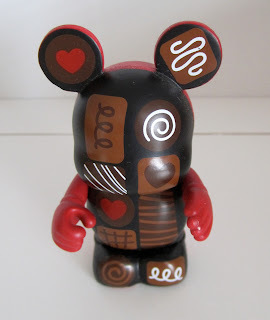 I see some red mini churn dash blocks in my future. I've always envied the folks with pretty and festive red table toppers for the month of February, I just need to get this one quilted and I'll be good to go. Yet Again, More Red . . . .
Are you getting tired of these red posts yet? I got a couple questions that I thought were interesting so I'm addressing them today. 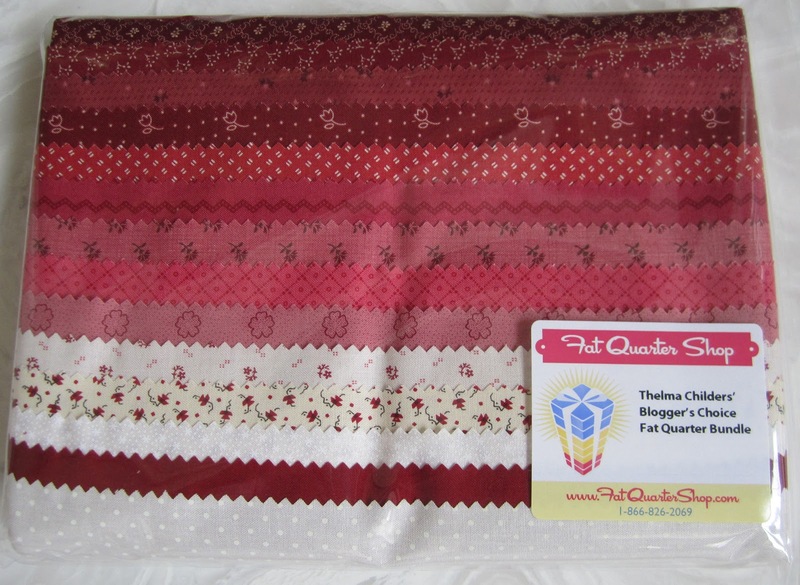 First off, this is how the Thelma Bundles are packaged by the Fat Quarter Shop. I don't care what you order, the ladies at the Fat Quarter Shop always do an amazing job of making your order look great. I love getting packages from that store. When I got my bundle I wanted it to really look like a bundle, this will be the only bundle that I ever own that will have my name on it, so I repackaged it to look like this. So when you get your bundle you can leave it in that great package sent by the shop, or fold it up and wrap a ribbon around it like I did, I think the fabric looks equally pretty either way. I also got a funny note asking how I made my selections. I guess some of you were picturing me flying down to Texas, walking through an amazing warehouse full of fabric, picking out my favorites, then going out for a fancy dinner. Sorry to disappoint, but I made all my selections from the comfort of my kitchen table over the course of several days off my computer. 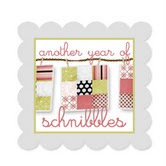 I needed to select 12 print fabrics and 3 solids from any upcoming fabric lines listed on the FQS Coming Soon page. I looked at each family of fabric coming out around now, went to the manufacturers web site to get a better picture of each print, then created a list of possibilities. It was really hard to narrow it down to 15 pieces of fabric. 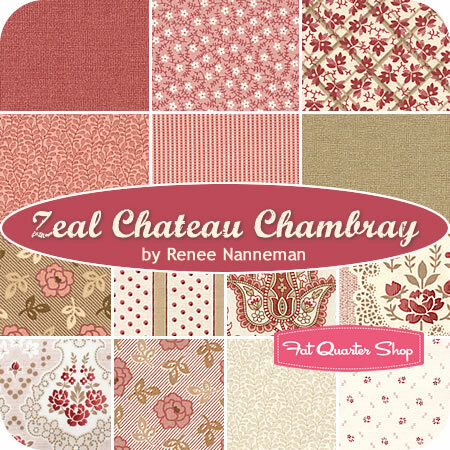 Here's an example of a print that I picked from Chateau Chambray by Renee Nanneman. I was looking for reds or red companions, this fabric line doesn't scream red, but this print goes great with reds. The description was dusty rose, but the picture looked red, so I went with it. This print does not have a dusty rose color, it's red. Here's the family this print came from. I didn't immediately think red when I saw this family, but noticed that red print when I looked at the bigger pictures by the manufacturer. It was like being on a treasure hunt, searching every line coming out for the perfect red. I've started using that bundle. I've came up with a plan for using every piece of fabric in my bundle in one project, here's the first step, 9 stars. They are from this pattern, Tickle, by Miss Rosie's Quilt Co. I'm calling mine "Tickled Red". The pattern is available from the Fat Quarter Shop here or as a PDF file from Miss Rosie's Quilt Shop here. Back to my sewing room for me, I've got more red sewing to do! It's Monday . . . 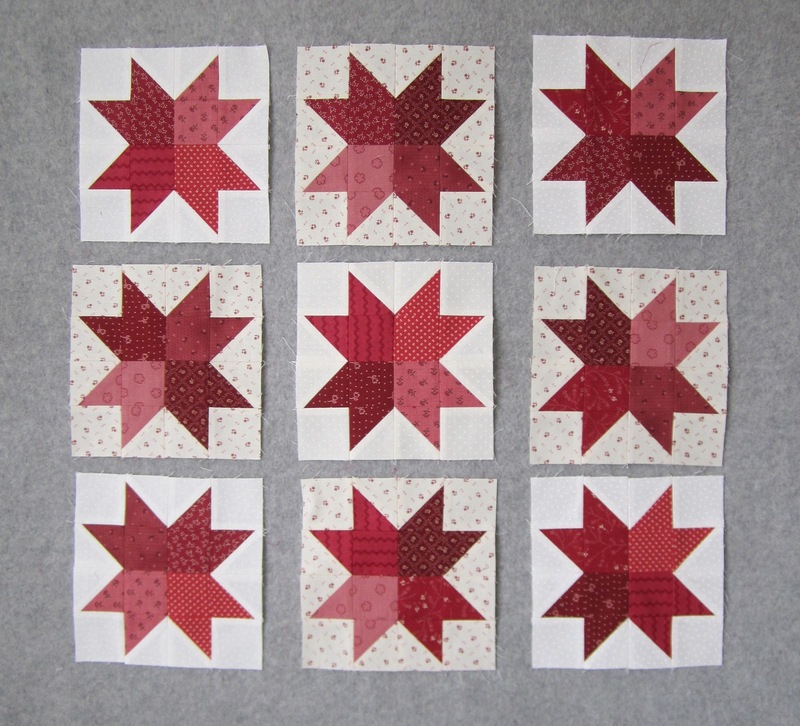 I didn't sew much over the weekend, but I did make a little progress on 3 Barns, here are the "naked" star blocks. And here they are all dressed up. Everything is going together very smoothly, my pieced hsts are creating nice points and fitting perfectly along the sides. So far this has been a very easy and fun project to work on. I'm loving the yellow. 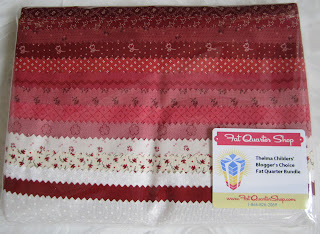 The Thelma Bundle from the Fat Quarter Shop arrived on my doorstep on Friday. For some reason, it takes forever for anything to find its way to my house. Estimates are usually off by a day or two. I think since I live out of town, it takes an extra day for the local post office to get packages to the rural drivers. I'm very happy with all the reds. One piece is a little more pink than red, but I think it will be a nice pop of color with all the other reds. Over the weekend I just let the bundle sit in my sewing room but today I plan to start cutting and making a few things using all that fabric. I had 3 goals when I selected my bundle; first, I wanted the bundle to be able to make something all on its own, without having to add any other fabric from someone's stash, secondly, I wanted the group to be a nice addition for someone who has a red stash, and finally, I wanted someone who didn't usually include red in their quilts to be tempted to give it a try. I think this bundle meets my expectations. I'll be sharing how I use this bundle this week, so it looks like we're in for another red week. If you have any plans for this bundle or have made something already please drop me a line. 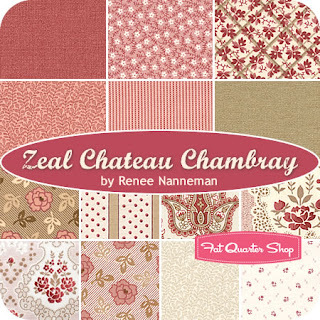 Kimberly at the Fat Quarter Shop generously donated the bundle for my giveaway. I enjoyed reading every comment you left. I almost always read all my comments while on my exercise bike, but that normally only takes 5 minutes, I have enjoyed two entire workouts reading red comments. I loved all the stories. Some favorite red items were of sentimental value, like rockers, sleds and jewelry. I'm with the folks who mentioned how wearing a certain red sweater, coat, shoes or carrying a red purse can just make a day. The comment left the most often, red ripe summer tomatoes. I do not drive a red car, but several of you do. My last two cars have been gray! I did get ideas for two new red items, I want a red camera and a red toaster! The toaster is on my list for Mothers Day. A few of the comments had questions, I'll get back to you this week. "My favorite red thing would have to be the single red rose I get for Valentine's Day and for my anniversary. My husband's been doing it for 33 years. Of course, that bundle would round out the reds I've been collecting for a quilt. Then that would be my favorite red thing. " Vicki S, please send me an email with your mailing address so the great gals at the Fat Quarter Shop can get your bundle of reds in the mail to you. Thanks to all who left comments. Red Week, Last Day . . . . I think we all know this won't be my last red post, I love red too much not to be playing around with something red, but it is my last official red post. Now that the main blocks are pieced it's time to start using some of the hsts that I made. Here's a block "all dressed up" with those hsts. So far everything is going together very easily. If the Fat Quarter Shop will ship to you, you're eligible to enter. 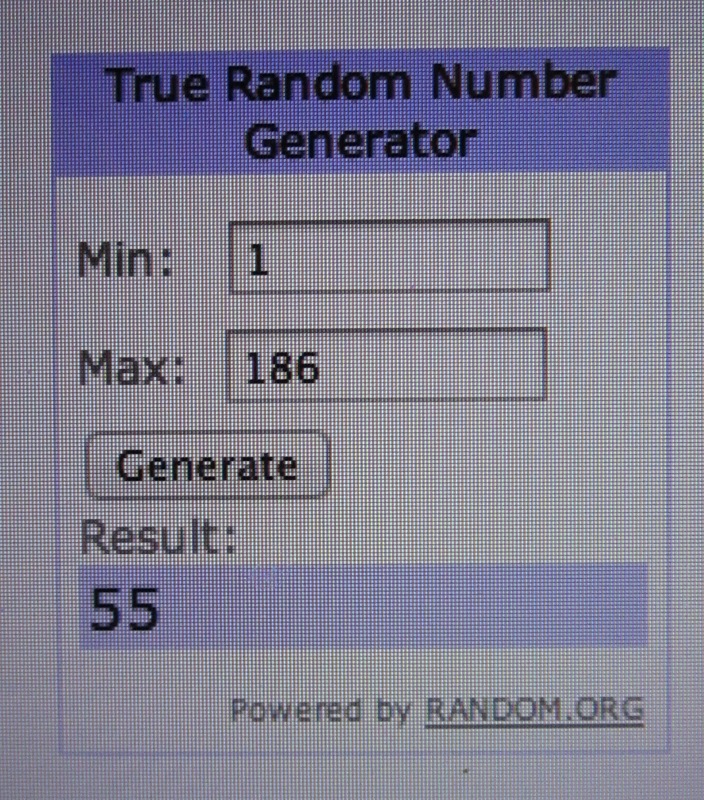 On my last giveaway I didn't do a good job with the giveaway deadline and I heard about it! I understand it's hard to know when it's the end of day for me, you don't know where I am or when my days ends. So this time I'm making it easier for all of us. Comments will be accepted on this blog post until the next blog post. So the next time I blog, no more comments will be accepted on this blog, make sense? Since this has been red week, let's have a red comment question, "what's your favorite red thing?" I have a lot of red things, and not just in my sewing room, I would have to say one of my favorite red things is my red couch, where most of my quilts hang out and look their best. How about a super special red day . . . . Woo Hoo, look what's home from the quilter! 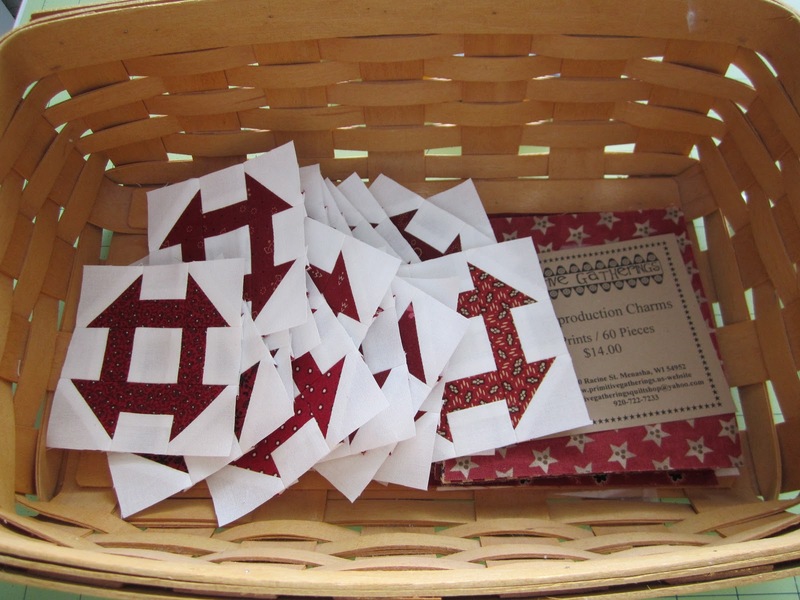 It's Door County Cherry Baskets, aka, Done Pickin', Lifetime Quilt Number 75. 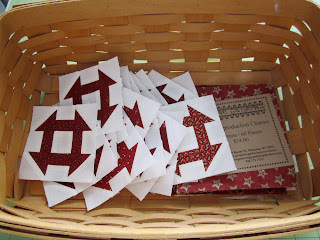 The pattern, Door County Cherry Baskets, is in the book Summer Gatherings by Lisa Bongean and Carole Charles. It's so hard to get a good picture of the quilting on a quilt! Here's a close up that should help. The background fabric is heavily quilted and the basket and cherry pieces are outlined so they just pop out of the quilt. 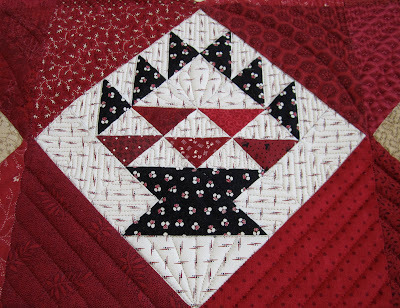 Not only are the basket blocks amazing, there's a beautiful secondary wreath pattern quilted into those quarter square triangles and some wonderfully fluffy feathers in the border. Here's the back, it gives you a little better idea of the jaw dropping quilting on this top. This amazing quilt job was done by the talented Linda Hrcka, over at The Quilted Pineapple. You are probably used to seeing Linda's quilt work on Lisa Bongean, of Primitive Gatherings, projects. I'm thrilled and very appreciative that Linda was able to squeeze this quilt into her busy schedule. I loved this quilt when I sent it to Linda to be quilted, but I love it even more now that it's home. 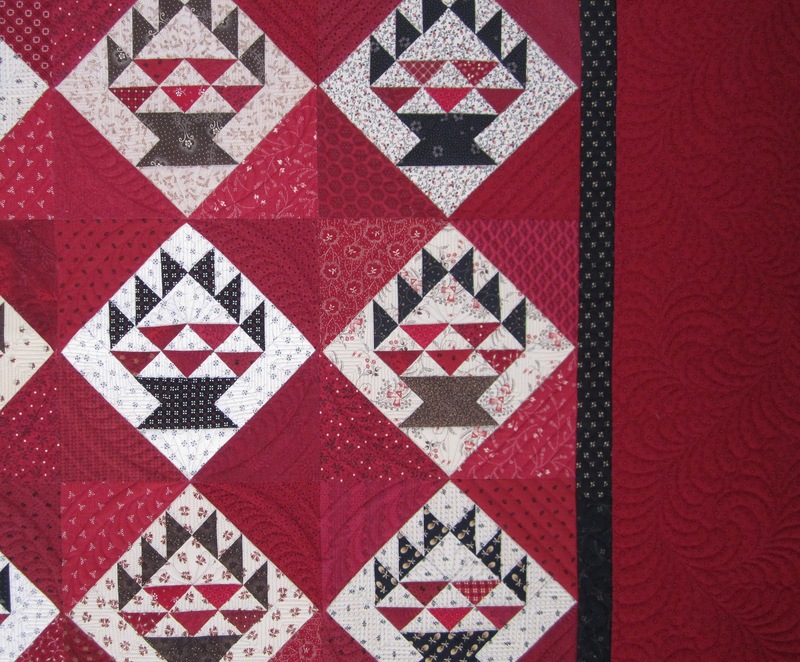 The quilting adds so much to the overall look of the quilt, and the quilt designs are a perfect fit for this style of quilt. Linda is going to blog about all the details of quilting this top on her blog today, for more detail click here. For more detail on the specifics of this quilt go to Lifetime Quilt Number 75 on my First 100 Quilts tab or click here. I went back and read my blog posts where I talked about piecing this quilt and if you're in the mood for a laugh, you've got to read about the day I went crazy trying to come up with the perfect placement of each one of those basket blocks. Even I think I was wound a little tight that particular day. But the quilt looks great, so maybe I'm crazy like a fox! My FQS Thelma bundle has still not arrived! I continue to hear from other folks that they have received their bundles and like it, I'm so relieved, but there's nothing like seeing it myself to totally convince me that the reds are a nice mix. I did get one comment that said, "I really like the beiges", I'm trying not to let that worry me! I hope you have a wonderful Valentines Day, and remember, if your Valentine doesn't step up to the plate to make your day special, there's nothing stopping you from making it special yourself. How about some red, Day Three . 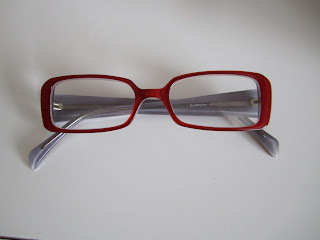 . .
For today, how about a few of my favorite red things in my sewing room! I love these Clover binding clips, I would love them in any color, but how perfect that they only come in red! and this red zippy bag. Can't sew, or live for that matter, without my red reading glasses. Love my Valentines Day Vinylmation. and my red watermelon coin purse. or this! A 35 pound 11 1/2 inch tall stack of yummy red fabric, my entire stash of reds. And here's what's on my design wall, all my 3 Barns star blocks are pieced. 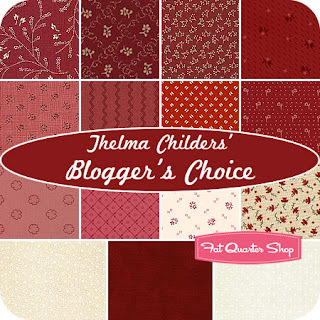 Still no FQS Thelma bundle in the mail, hopefully today! For tomorrow I have a red finish that you've not seen, don't miss it! How about some red, day two . . . .
Over the weekend I decided to take a break from 3 Barns and make a few mini 3 inch churn dash blocks. This is what was waiting on me when I walked into my sewing room yesterday morning. And this is what I had at the end of the day, 22 finished blocks. I went from 6 blocks to twenty-two blocks. I couldn't wait to see how they looked in a group. This shot gives you a better feel for their size, I may need quite a few more to fill that design wall. They are a nice and easy diversion. I got a note from someone who received their Thelma bundle from the Fat Quarter Shop in yesterday's mail. I've yet to receive mine and it's driving me crazy. I'm planning on making a Valentines table topper, some mini churn dash blocks AND a Carrie's Little Bites Chip from my bundle, but until I get a bundle I'm not making anything! I mailed Betty's box of fat quarters yesterday, it weighed 11pounds, even! Thank goodness USPS doesn't charge by the pound! I'll be back tomorrow with another red post! Still raising that barn . . .
3 Barns . . . Forever Home . . .
A little something on the side . 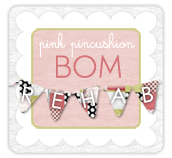 . .
Blogger Girls BOM . . . .